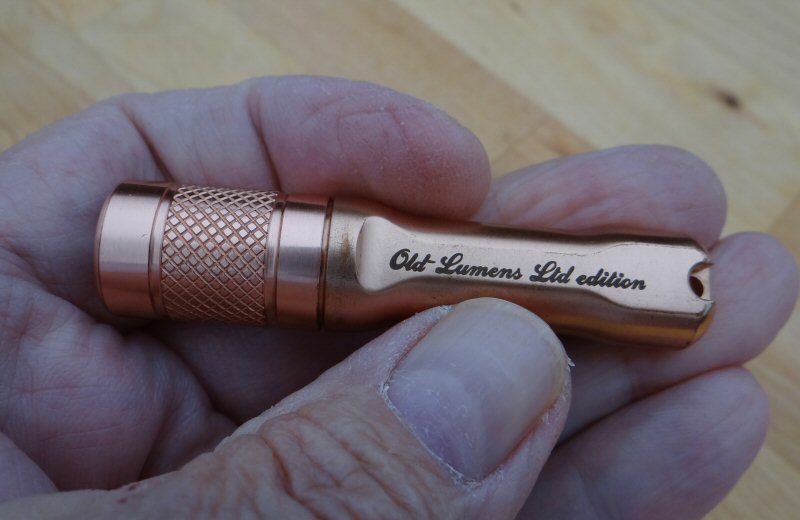 Sadly, Old-Lumens died this past Saturday morning. He loved BLF; it was his whole world. He loved being involved with this community and lived for it everyday. OL loved modding and sharing his experiences with anyone who was interested. He truly gave all he had from his heart and was sad to leave you guys. Thanks to so many of you who shared, visited, and worked with him. It meant everything to him. And thank you for the many kindnesses you showed to him; they really touched his heart, and at times brought tears to his eyes. Thank you all. He will be missed and he touched many more people then any of us will know. Peace be with him and you. Thanks for passing this sad news on to us. our thoughts and prayers as you well know, are with you at this time. if you ever need help with anything, simply post it here and we’ll come running. My condolences to you and your family sorry for your loss. Old taught us all so much and he always had our backs. This is a very sad day for BLF he will be missed! RIP mate! I am so very sad to hear about Justin. May he rest in eternal peace. I condole with you and the rest of your family, Mrs. Lumens. So Sorry for your loss, and BLF's loss. Welcome to join Mankerlight Group in Facebook. He is truly missed. My condolences on his passing. 'I pledge not to get drawn into cpf/blf arguments, & just understand that both places have their own merits'. Very sorry for your loss Mrs. Lumens. Thank you for taking the time to update us. You and your husband have a special place in our hearts. We have been very fortunate to have you and Mr Lumens in our lives. Many of us will be hoping and praying for strength and healing for you and yours. My condolences, I’m sorry for your loss. My thoughts are with you and your family. I have not been here but for a short time ,but I have read his posts and felt as I knew him. God bless, and my wife and I send thoughts and prayers to you and your family. I’m very sorry to hear of his passing. I hope the well wishing from BLF brings some comfort to you. I’m so sorry to hear about his passing. "It is critical that there is a credible academic source for the growing and important discipline of alternative facts. This field of study will just keep winning, and we knew that all the best people would want to be on board. There is a real risk in the world today that people might be getting their information about science from actual scientists"
Thanks for taking the time to post. You have prayers holding you and your family up throughout the next week and more. Please be encouraged as you mourn. I’m terribly sorry to hear of your loss. OL will be missed around here like no other… RIP my friend. OL will live on in BLF’s heart. My condolences to Ms Lumens, family and friends. Really sorry to hear this. He truly was a blessing to our community. We’ll keep you in our prayers. So sorry to hear of your loss, and ours. His spirit lives on with all of us. I shall not forget him. As always, words fail but he will be in our hearts. Thanks for posting, Mrs. Lumens, and I am very sorry for your loss. Sorry for your loss Mrs. Lumens. Very sad news I’ll light a candle for him tonight. I’ve been thinking a lot about Justin lately; thanks for taking the time to inform us why it’s been so silent lately. RIP Old Lumens, you will be remembered. Rest in Peace Old Lumens. You will be missed a lot around here. Sorry for your loss Mrs. Lumens,Justin left a legacy here and inspired many people. He will be missed as a cornerstone of the flashlight community,and an all around great guy. Sorry to hear that Mrs. V, will be praying for you in this sad time.